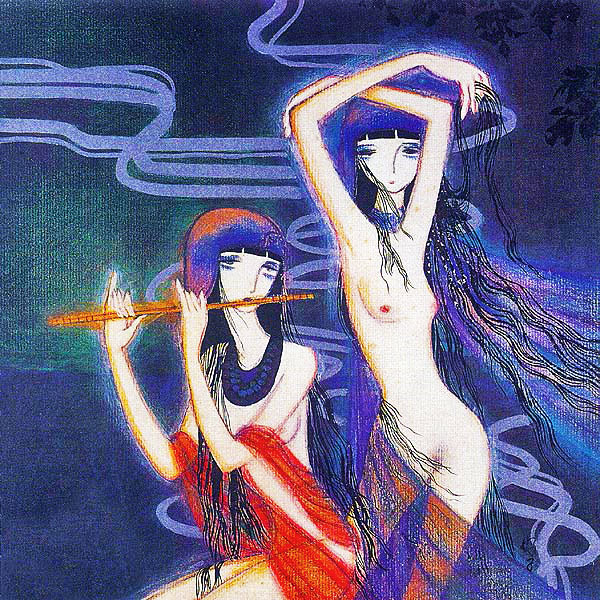 Due to the great success of Yoshiko Sai’s first entry, simply the most viewed during this month, today we present another album of this incredible haunting artist! Edo (modern Tokyo) became the seat of government for the military dictatorship in the early 17th century Japan, the so-called Edo period (1603–1867). With an ‘everlasting’ peace and prosperity, the merchant class at the bottom of the social order found themselves the greatest beneficiaries of the city’s rapid economic growth. Other classes were the samurai and the craftsmen. 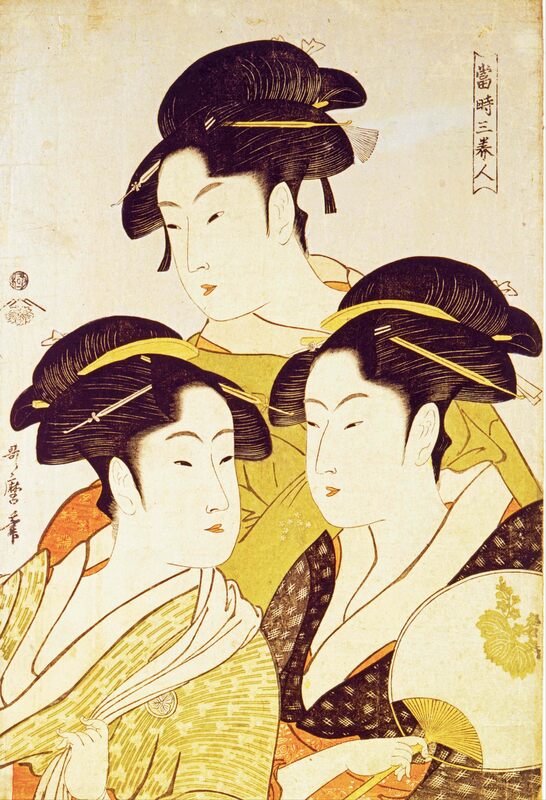 Many indulged in the entertainments of kabuki theatre, courtesans, and geisha of the pleasure districts. The peak period in terms of quantity and quality was marked by portraits of beauties and actors by masters such as Kiyonaga, Utamaro, and Sharaku in the late 18th century. 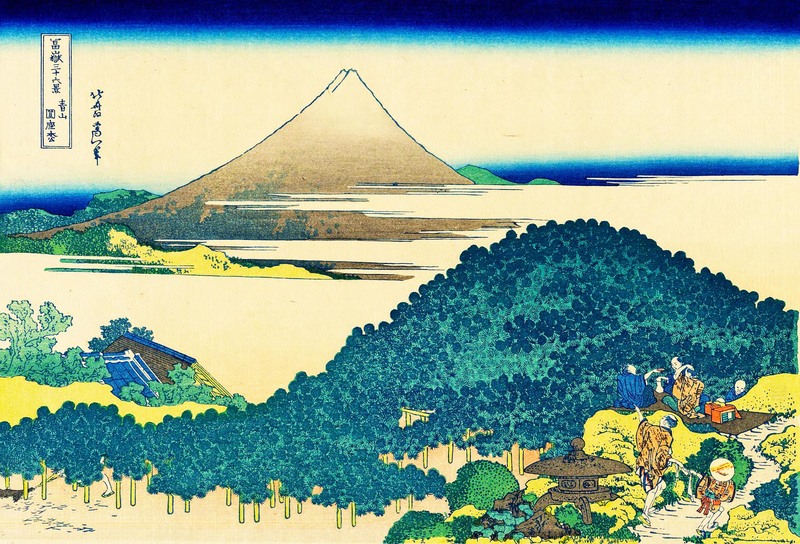 This peak was followed in the 19th century by a pair of masters best remembered for their landscapes: Hokusai and Hiroshige. Following the deaths of these two, and against the technological and social modernization that followed the Meiji Restoration of 1868, ukiyo-e production went into steep decline. Some ukiyo-e artists specialized in making paintings, but most works were prints. Artists rarely carved their own woodblocks for printing; rather, production was divided between the artist, who designed the prints; the carver, who cut the woodblocks; the printer, who inked and pressed the woodblocks onto hand-made paper; and the publisher, who financed, promoted, and distributed the works. Japonisme, or Japonism, is a French term that was first used (theorized) by Jules Claretie in his book L’Art Francais in 1872, it refers to the influence of Japanese art on Western art. In 1854, Japan re-opened trade with the West (after 265 years of isolation) and Japanese artworks including fans, porcelains, woodcuts, and screens were introduced in huge numbers to Europe, mainly France and the Netherlands. 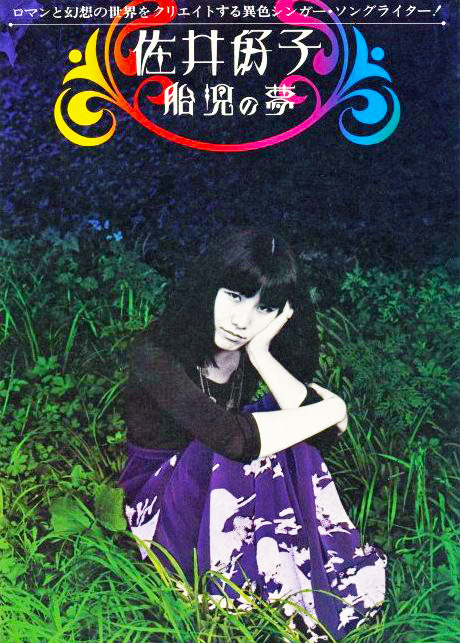 Released on July 25th, 1976, Mikkō was Sai Yoshiko’s second album, a wonderful acid-folk register on which she gets assisted by a string of big name musicians such as Kuni Kawachi on arrangements. At times the disc draws in Indian influences (sitar and tabla), but once she gets to singing, the listener is lulled into her own private, mysterious sonic world, through which one gets sucked in by her wide-ranging vocalizations. At the time of this recording, she was merely 23 years-old. This is a quieter, entrained album, compared to Taiji No Yume, with less variety of styles, making a melodic somber entry. I really would like to know more details about the lyrics, will any Japanese friend could help us? This is such a stunner voyage of consciousness, welcome to the unique realms of Yoshiko Sai, be ready! The ‘IM’ highlights are: Tenshi no Yōni and Mikkō. Made: Teichiku Records Co., Ltd. Recorded at Teichiku No.1 Studio and Sound Creation Studio. Mix down at AMS Studio from March to May 1976. And still so amazed by to consider how young she was when she created her masterpieces….and that earthly, fully formed voice~!! where’s the link for the album? hello friend, in the comments session, there’s the link.